Hello friends and Facebook fans. Jamie and I are finally posting more photo goodness. We purchased another camera which still has not arrived yet and I will be reviewing it once we have it in our hands. We also have events coming in the next month so look for more frequent updates. 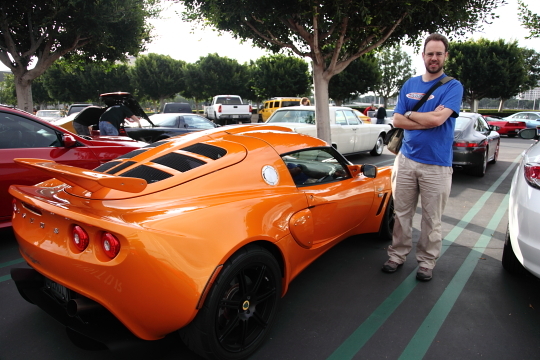 Yesterday Jamie and I somehow dragged ourselves out of bed at a much too early hour for a Saturday and went to the weekly Cars and Coffee™ Irvine event. 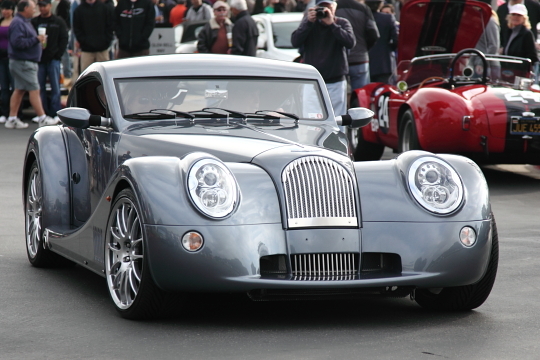 This gathering is a spectacle of car performance and history that anybody who loves cars will enjoy. The best part of this weekly gathering is that it is free to attend (you don’t even pay for parking) and the only thing being sold is coffee. 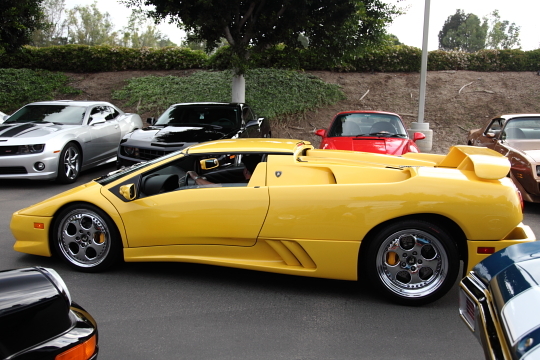 On any given Saturday, you will find at least five decades of automobile history covered in addition to seeing multiple supercars and at least a few race cars. 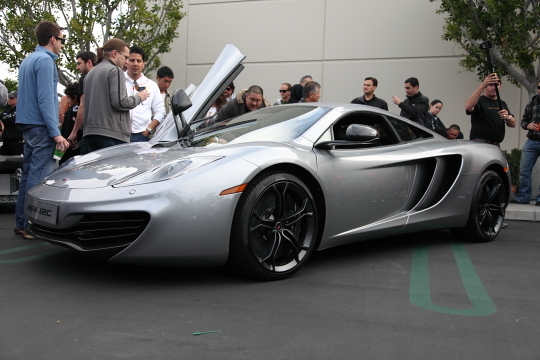 Yesterday also got a special visit by the new McLaren MP4-12C. 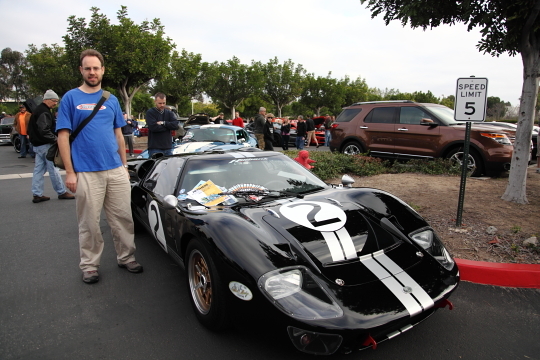 When we arrived, there was a crowd around this car and when we left, there was still a crowd around this car. 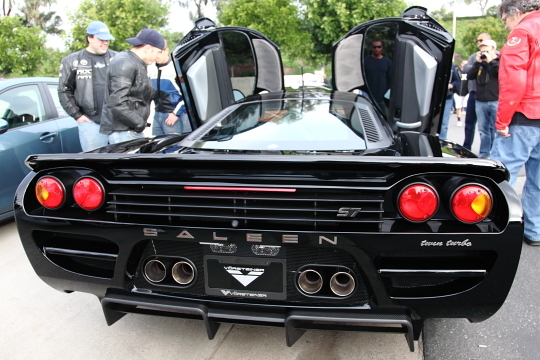 Another car that carries the supercar status is the Saleen S7. 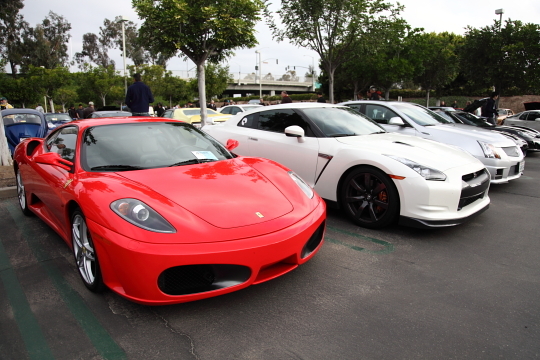 Yes, an example of one of these cars was present as well. 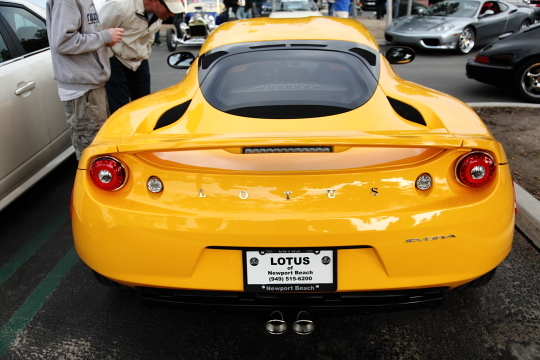 My favorite car out of those present would have to be the Lotus Evora because it is a Lotus with back seats. 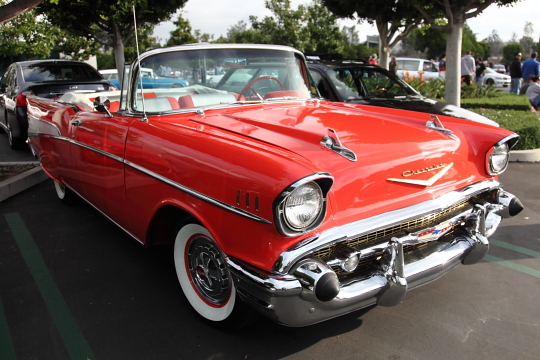 Along with the production supercars and historical automobiles were of course professionally modified cars as well. 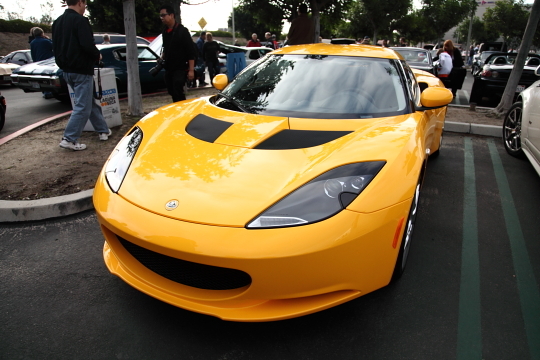 Hennessey had about four or five vehicles present including a Camaro and a Ford GT. Jamie took a lot of photos and you can find full resolution versions of all the photos shown here and more at the GALLERY.